DNA dating – is saliva and social media behaviour the key to finding ‘the one’? The latest research from LoveHoney (the ‘sexual happiness people’) shows that by 2031, you’ll be more likely to meet a partner online rather than off. Furthermore, 38% of people will meet the love of their life through online dating sites or apps. It also shows that the biggest growth area in online dating services in the next decade will be the 55 to 64 age group, with a 30% rise in the number of singles in this age bracket. There’s a noticeable increase in them signing up to online dating sites. Does this surprise you? Probably not. 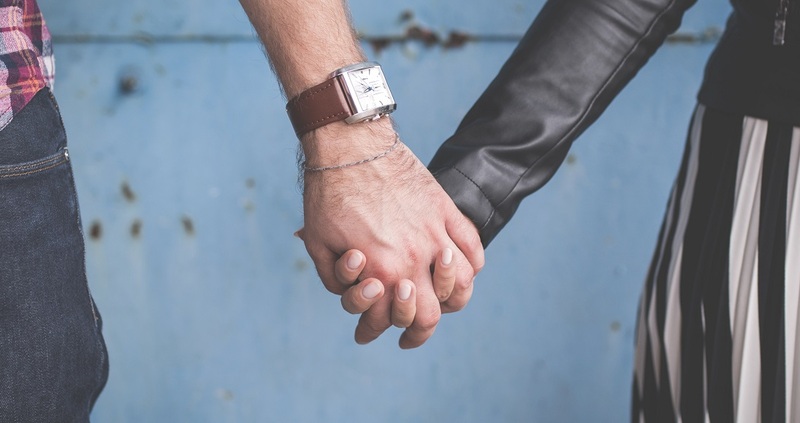 With the likes of Tinder, Bumble, Grindr, and PlentyOfFish – to name but a few of the most popular online dating apps – it’s impossible to ignore this huge phenomenon in finding your lifelong partner (or even your ‘just for now’ partner!). Too much choice (of both apps and potential partners) has led to serial daters who are never satisfied with their match; always on the lookout for someone more attractive, more intelligent, or simply more convenient due to their locality. And with sites such as Tinder allowing you to potentially connect with a new person at the swipe of button, it’s never been easier to be morally and physically more relaxed. So, how can you possibly find a true connection with this type of disconnected dating? And what’s the solution to this ennui with current dating apps? Well, the team behind Pheramor, a Houston-based dating app, think they’ve found the answer – DNA dating. According to the website, ‘Pheramor is pioneering the next generation of matchmaking by combining science and technology. We bring love at first sight to the palm of your hand’. Referring to themselves as ‘the world’s first smart dating app’, this unique platform only requires a swab from the inside of your cheek and unlimited access to your social media platforms. From which it claims to be able to find your perfect match. On paper, this seems like the ideal solution to the current over-saturated online dating market – no need to fill in extensive profiles, and no need to be constantly updating your photos to stand out from an ever-increasing crowd of gorgeous high achievers who seem to all participate in extreme sports every single weekend! You know the ones I mean? Wouldn’t it be easier for a third party to scientifically match you to your perfect partner? It’s science, so it must be foolproof, no? Pheramor has a team of in-house scientists who can isolate the 11 key genes in your DNA that determine how physically attracted you are to another person. In other words, they claim to be able to identify who you’ll be sexually compatible with by use of an algorithm. To support their theory, they call upon the 1998 ‘sweaty T-shirt experiment’. Sounds lovely, doesn’t it? Well, no one said the path to true love was paved with roses! Within this study, a group of men were asked to wear the same t-shirt for two days. A group of women then had to smell these shirts and state which ones they felt most sexually attracted to. This experiment found that women were more attracted to the smell of men who had the greatest genetic difference from themselves on a specific chromosome. Pheramor combines this analysis of your DNA with an extensive investigation and summary of your social media presence; for example, activities you’ve liked, events you’ve shared, places you’d like to visit, and any hashtags you’ve posted. This results in them, apparently, being able to find your perfect match! No more bad first dates? No more spending ages getting to know someone online, only to find that there’s no attraction in the flesh. No more ghosting (ending a relationship by suddenly withdrawing all communication), or benching (stopping meeting in person, but continuing to message online, basically keeping you on a hook). Just your perfect match, handed to you on a plate. But isn’t half the fun of dating the anticipation? The not knowing if he or she will be ‘the one’? The fun, the laughter, and yes, sometimes the tears, of getting to know someone new? It’s like reaching the finish line before you’ve even started the race. It may seem inconceivable to the younger generation, but people did meet, date and fall in love prior to the existence of online dating. Yes, we’re busier now – perhaps more than ever before. Yes, we live in a society where technology’s used on a daily, if not hourly basis, with everything from our shopping to banking to booking a holiday being carried out online. But do we really need the internet for dating? Why not buck the trend and go old school? Ask family and friends for set-ups (they know you better than any algorithm will ever do). Widen your social circle, and be open to new experiences and meeting new people. Simply put yourself out there! What have you got to lose? !